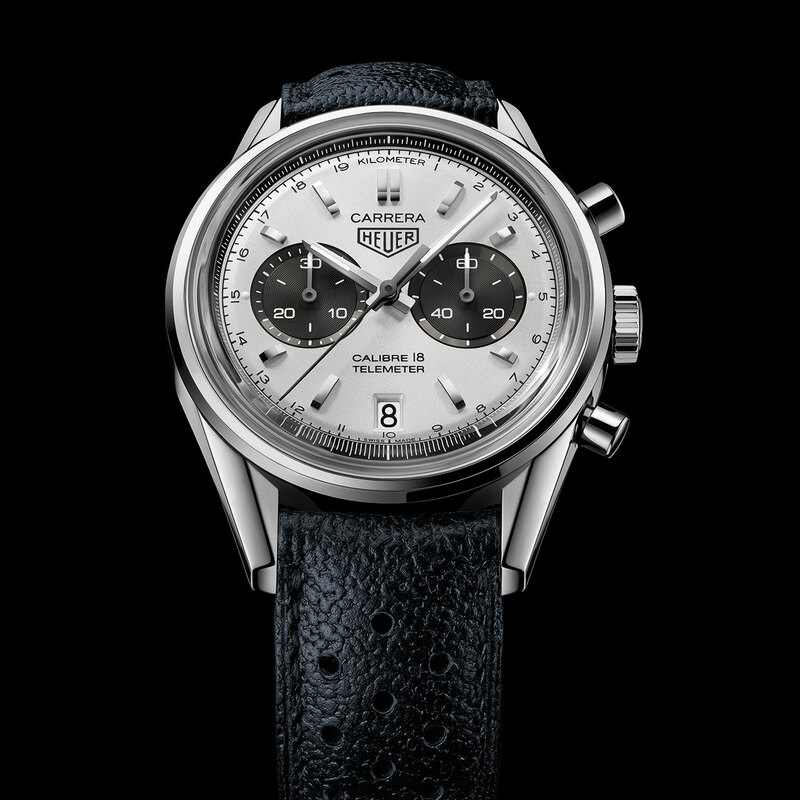 To create its new Carrera Calibre 18 Chronograph, TAG Heuer has drawn inspiration from a true icon: the first chronograph specially designed for racing drivers that Jack Heuer made in the 1960s. It’s all there: the original Panda effect with two anthracite counters standing out against a silver-toned dial; robustness together with tried and trusted functionality, and even the historical Heuer logo. Topped by a spherical sapphire crystal inspired by the original model, this vintage-touch automatic chronograph is also equipped with a telemetric scale on its inner bezel ring. This function was formerly used by the military to measure their distance from artillery fire based on the speed of sound. Modern-day adventurers notably use it to see how far they are from a storm. The kind of adventurers who can perfectly identify with the Carrera collection, whose Spanish name means “top-level competition”.